The modern industrialized diet is the primary culprit behind the heart disease, cancer, Alzheimer’s, type 2 diabetes, and obesity epidemics. A massive study found that last year the modern diet fueled 678,282 deaths in the United States and 11 million worldwide. In just one year! On today’s Broken Brain Podcast, our host, Dhru, talks to Ocean Robbins, CEO and co-founder of the 500,000-plus-member Food Revolution Network—one of the largest communities of healthy eating advocates on the planet. He is also the author of 31-Day Food Revolution: Heal Your Body, Feel Great, & Transform Your World. 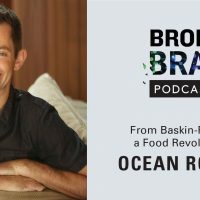 In this podcast, we talk about Ocean’s compelling family story of founding and leaving behind the Baskin-Robbins empire in favor of healthy, sustainable, plant-powered eating. We discuss the myths and truths about GMOs, and the problem with factory farming. 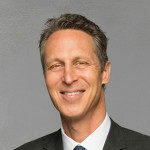 We talk about Ocean’s food philosophy, and how his diet has evolved over the years to include a small amount of animal protein. We also talk about activism and transforming the industrialized food culture into one that celebrates and supports healthy people and a healthy planet. PS – For more on Ocean Robbins, be sure to follow him on Instagram @foodrevolutionnetwork, Facebook at @foodrevolutionnetwork, and YouTube @foodrevolutionnetwork. Check out his website https://foodrevolution.org. You can also find his new book 31-Day Food Revolution: Heal your body, feel great, and transform your world, right here.